Mount Mitchell Pyrenees holiday accommodation is situated 3km from Lexton, which is located approximately 30 minutes north-west of Ballarat. What is the Pyrenees region in Victoria famous for? Like the Pyrenees region between France and Spain, Victoria’s Pyrenees is known as a diverse wine growing area with world-renowned wines such as those produced at Dalwhinnie Wines, Taltarni Vineyards and Summerfield Winery. Our Pyrenees country retreat allows you to fully enjoy the local wineries while staying at Mt Mitchell Cottage or Mitchell House holiday accommodation. How long will it take us to drive from Melbourne to Mount Mitchell? With kids in the car we want to plan our journey! 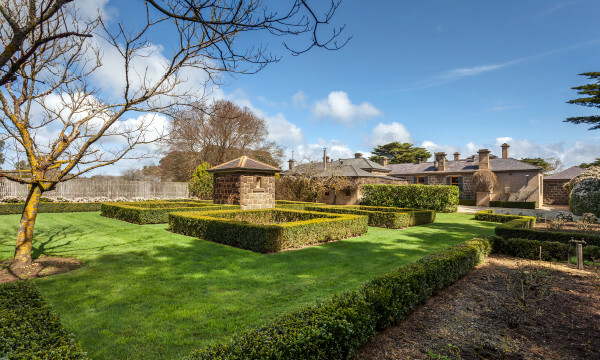 Mount Mitchell homestead and your Pyrenees holiday accommodation is approximately one hour and 45 minutes’ drive from Melbourne, depending on traffic conditions leaving the city. Do you welcome children at Mount Mitchell? Absolutely! We have accommodation options that make for the perfect country retreat and Pyrenees farm stay for the whole family. The children and their parents will love collecting fresh eggs from the hen house, walking the creeks, forriaging the kitchen garden and exploring the stunning grounds surrounding Mount Mitchell homestead, Mitchell House and Mt Mitchell Cottage. We have limited time over the weekend but really want to attend the wedding of our great friend at Mt Mitchell wedding venue. Any ideas? Have you considered using the luxury travel services of Microflite Helicopters? Microflite Helicopter Services fly directly to Mount Mitchell from Melbourne City Heliport, right on the Yarra River. The travel time to our Pyrenees wedding venue here at Lexton from Melbourne is approximately 45 minutes (depending on weather conditions). Do you have a range of holiday accommodation options in the Pyrenees region? Mount Mitchell has Mt Mitchell Cottage and Mitchell House available for holiday accommodation. 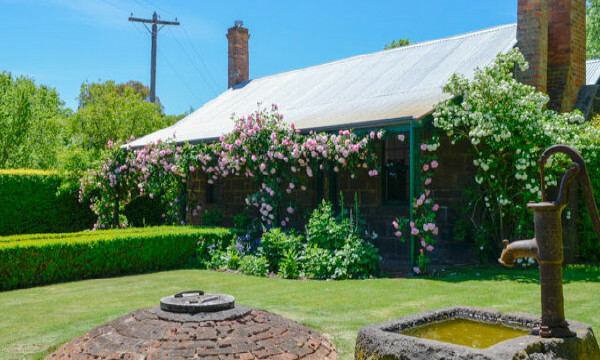 Mt Mitchell Cottage is the perfect Pyrenees country retreat and romantic getaway, while Mitchell House provides comfortable farm stay accommodation for families and groups. Do you host weddings at Mount Mitchell? Mount Mitchell and the surrounding grounds provide you with perfect wedding reception venue in the Pyrenees. Whatever the size of your guest list and whatever theme you would like to embrace, Mount Mitchell offers varied locations around the property for intimate wedding venues, garden wedding venues, marquees and more. You are only limited by your imagination. 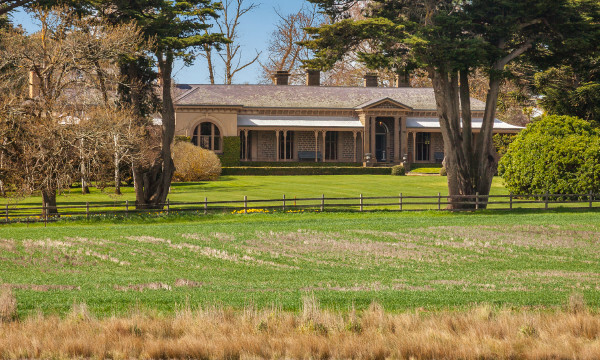 Contact Mount Mitchell if you would like more information about our unique property, our accommodation options and venue hire.